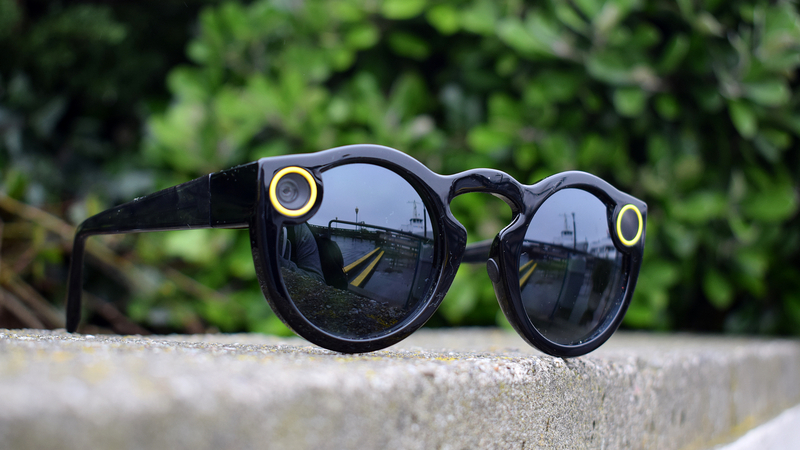 The world caught Spectacle fever late last year when Snap started dropping vending machines around the USA, filled with its video-recording sunglasses. Some of you have got hold of them and done some pretty cool things with them, and it might not be long before everyone can easily get in on the fun. Snap did an effective job of building hype, but now that it's dying down a bit, was your purchase in vain? Not at all, friends. There are plenty of other uses for Spectacles beyond sharing goofy videos and rubbing your precious glasses in the faces of those who aren't members of this exclusive club. If you're in need of inspiration, here are 10 other interesting uses for your Spectacles. Spectacles can only shoot up to 30 seconds of video at a time, but hey, Spielberg started out on a Super 8 camera back in the day. Snapchat lets you thread your videos together into 'stories', so why not try structuring a narrative? Who said your friends can't have character arcs? 2015 movie Tangerine was shot entirely on an iPhone, so you've no excuse. Get a friend or family member to wear your Specs for a day and see what the world looks like through their eyes. Make sure they have a few interesting things planned beforehand: hours of watching people type at computers in an office isn't going to inspire you. Having two different perspectives on the same event could be really interesting. If Julie Powell had Spectacles when she blogged her attempt to cook 524 of Julia Child's recipes in a year, we think it would have made an even more interesting story. Why not try serving up some bite-sized recipes straight from your kitchen to your loyal followers? People love dogs. There are Facebook groups filled with hundreds of thousands of people posting and rating pictures of other people's dogs. Find them. Share them. Accrue masses of internet points. Think outside the box. Try mixing the Spectacles with Snapchat's filters, and see if you can come up with something new - like this. You're neither the hero we need, nor the one we deserve. Or want, probably. But when the sun goes down, you patrol the streets in your Specs (making it very hard to see), lurking in the shadows and armed only with your Specs, waiting to catch criminals in the act. Essential reading: Is VR about to reinvent fitness? You're a human CCTV camera with a taste for justice, but like Batman you avoid violence where possible. (PSA: Please don't actually go out at night wearing your Specs in search of trouble). Show how much you love your Specs by selling them and buying the device that heavily inspired them instead. Strut your stuff proudly past the haters in their Specs as you rock your now-retro Google Glass like some kind of cyber hipster. You may lack the requisite training and basic hand-eye coordination, but one look at the glasses on your face and CIA recruitment will know you were born ready for a life of high-stakes international espionage. Congratulations, the job is yours. They didn't even ask your name. I mean, they do the job, right? And they don't look terrible. You spent over $100 on these bad boys, you might as well get as much mileage out of them as possible.